Funnies file: Bottoms up for upside down cheque presentation? 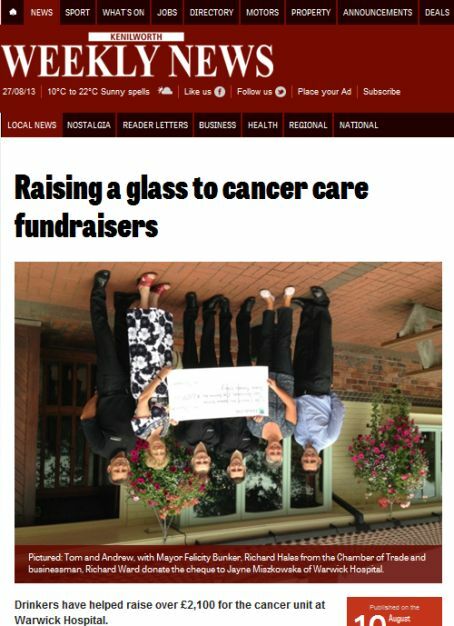 Is this upside down image on the Kenilworth Weekly News’ website a bid to inject a new twist into the standard cheque presentation photo? The headline talks about “raising a glass” to fundraisers at a local pub but maybe “bottoms up” would have been more apt?